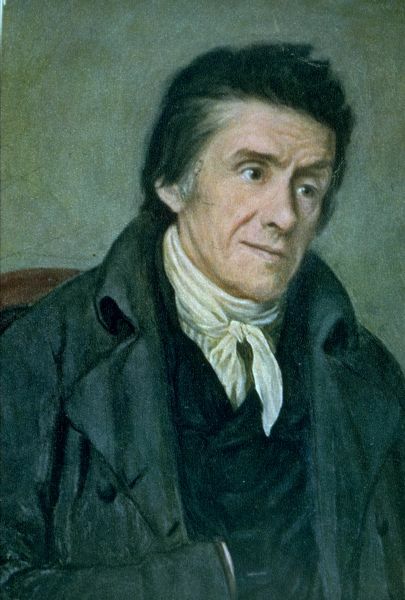 Johann Heinrich Pestalozzi. From . Painter: probably F.G.A. Schöner. There is an oil painting done after this painting by Francesco Ramos in the late 18th century/early 19th century that is shown today in the Museo del Prado in Madrid. Johann Heinrich Pestalozzi auf einem Gemälde (wahrscheinlich) von F. G. A. Schöner.